The limited edition Startech we took a look at back in June from the Converse First String collection was the latest we’ve seen from said line. 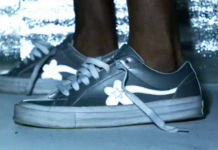 But with the sun blaring in some parts of the states brighter and stronger than ever, the Converse First String line drops something easier to get in and out of. 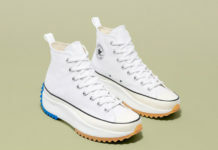 Pictured here are both black and white colorways of the Converse First String Shooter- a low-top offering. You’ll be able to find these at select Converse carriers today.